A cavernous prayer laid in darkness by a strangled voice, this is what Sektarism has been for the last 12 years. Formed in 2005 by eminent members of the Apostles of Ignominy brotherhood, the drone/funeral doom congregation has since spawned its incantations over the french and international underground.  After three demo ep’s in a span of three years, Sektarism gave birth to its first album ‘Le Son des Stigmates’ in 2012 under the banner of Zanjeer Zani, which received an excellent following. The assembly has since produced two split albums, including a notorious split LP , ‘Mort Divine’, with french black metal cult Darvulia on Nuclear War Now !. The last release so far, ‘Les Voûtes’, is a live album coming in a limited hand-made packaging to celebrate a ceremony set in Paris in 2015 with members of the french experimental musical scene. Sektarism has gained an infamous reputation for their public appearances. Their fully ritualized approch of the act of playing live makes them different and unique. Each ceremony is not a gig but a celebration in the name of the Hidden Absolute, a codified yet improvised praise to the Lord. The communion with the audience can be total as the assembly sets everything in place to summon the bleakest trance possible. Everyone may be involved in the ritual, making it a radical experience in the age of sterile and harmless entertainment that so-called extreme metal has become. 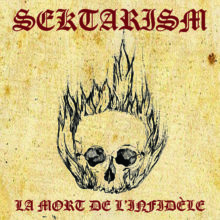 The year 2017 after the Death of the Impostor will be a year of conquest for Sektarism, with the release of a new album : ‘La Mort de l’Infidèle’. These new gospels will put the assembly ahead of its own scene, setting by their integrity and intensity new landmarks for ritual and doom genres. The procession of the Penitents follows its path, still flagellating to spill its blood over the misery of human condition. No Redemption is at hand, for there is no Hope in this cursed world except finding a flickering light of meaning in the heart of a corrupted Spirituality. No one will be saved, nailed to the Cross each has chosen himself. Sektarism is the sound of your perpetual lamentations, the icon of your Demise, waiting for the sound of the Seventh Trumpet.